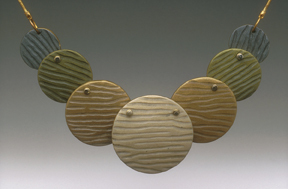 Louise Fischer Cozzi has been working in polymer since 1991. Her award winning pieces and articles have appeared in Belle Armoire, Bead and Button, and Lapidary Journal as well as numerous books. 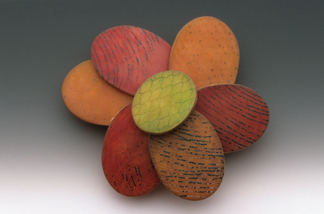 In her current work, she forms simple elegant shapes of translucent clay and infuses them with layers of texture and color that suggest infinite depth. For a few days each February and August, children are my enemies. Actually, their parents are the enemies. At every show, there are a handful of parents (both exhibitors and buyers) who didn't read their materials carefully enough to realize that we do not allow children under 12 years old on the show floor. In many cases, artists have chosen their careers as a result of wanting (or needing) to be home with their children. Traveling to a show can seem overwhelmingly complicated when you throw in the logistics of managing childcare on top of pricing, booth display, marketing, shipping, and filling orders. It doesn't have to be impossible to do a show as a parent, even of small children. What is necessary, however, is that you determine in advance what the show's policies are regarding kids. Some shows (retail shows in particular) have no guidelines at all -- children are welcome, strollers and all. Other shows permit children of certain ages, or ban strollers, or offer childcare. Do not assume that what is allowed at one show will be okay at the next -- always ask for specific information. At the Buyers Market, for example, absolutely NO children (including infants) under the age of 16 are allowed on the floor during move-in or move-out. With the large amount of heavy equipment driving around the floor, it is simply too dangerous. Once the show opens, we allow children 12 and over on the floor, and infants under six months old as long as they are constantly in a front carrier. Anyone between 6 months and 12 years is welcome to take advantage of the childcare service that we offer at a reasonable fee to exhibitors and buyers. Our show, like all wholesale tradeshows, is dedicated to conducting business between sellers and buyers. Not only do children distract from the business at hand, it isn't a particularly safe environment for them - sharp metal and breakable glass lurk around every corner. But we do understand that leaving kids at home with a spouse isn't possible when your spouse is your business partner. Which is why we do provide the option of childcare, which is open from the beginning of exhibitor move-in to the end of move-out. For many of our artists, the service is what has allowed them to do the show while raising a family... and doing the show has allowed them to raise their family while doing a job they love. 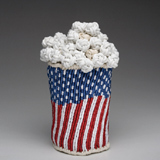 At the Buyers Market of American Craft this summer, NICHE magazine will announce the winners of the 2008 Top Retailer Awards at a ceremony on August 3. Hundreds of shops and galleries were nominated by artists, and after each nominee completes an application, 24 Top Retailer winners are selected, along with the Retailer of the Year. This year's nominee list is available online; if any of the nominees are galleries who carry your work (or who you'd like to carry your work), now is the perfect time to send them a short congratulatory note. 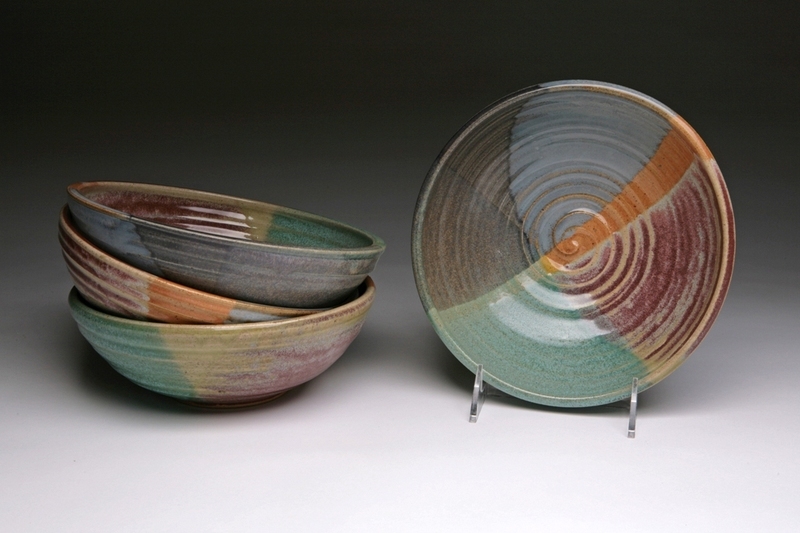 Erin Lambers will be bringing her line of functional ceramics to this summer's Buyers Market, and sharing a booth with her mother, who makes handcrafted soaps. 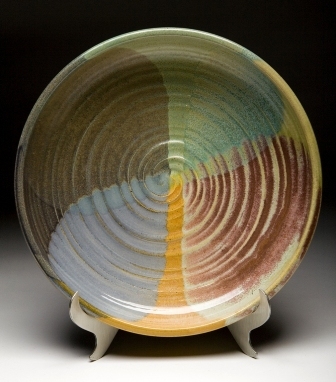 Erin has been working as a full-time potter since 2005, and currently teaches both adults and children. 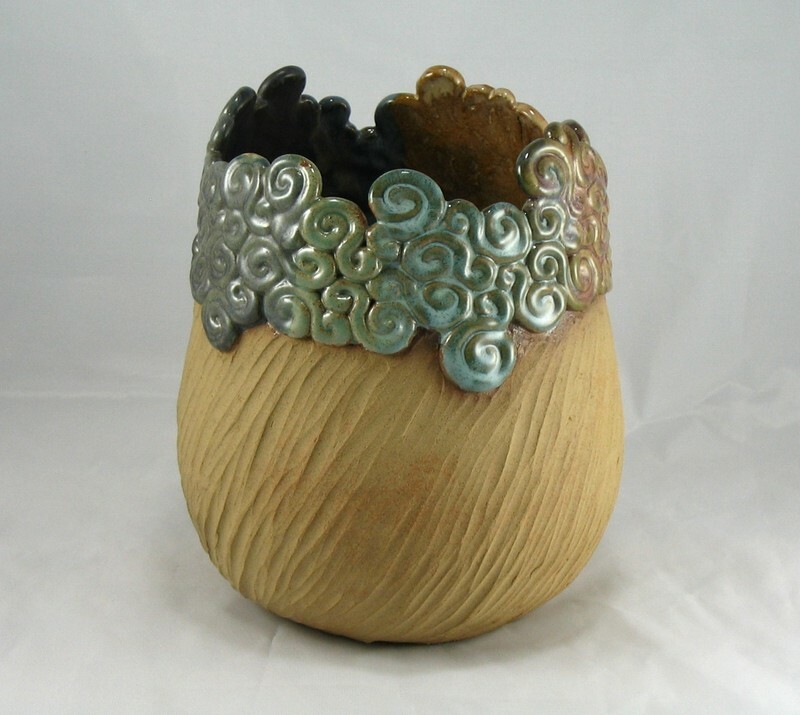 "It is my goal as an artist to create beautifully affordable pottery for people of all walks of life to enjoy," Erin explains. "The ability I am blessed with is a love that I share with all ages." This is really a multi-part project, but each step shouldn't take more than 15 minutes. Identify your competition -- who are your top three competitors? If you don't know, add an additional 15 minutes to this project and FIND OUT. Once you've identified the enemies, your mission is to learn as much about them as you can. Google their company name. Google the artist name. Google their phone number. Visit their website. Find out their prices, where they are advertising, what stores their work is in, what shows they exhibit at, what they're doing that you're not, how they make their work... everything you can. Make a folder for each of your competitors and put all this information in it. We'll open them up again next week. First, determine the goal for your mailing: Is it orders? Getting buyers to your booth? Collecting information from buyers? A call to action is a VITAL aspect of your mail piece. Without it, it is impossible to measure the success of your mailing. If you are sending postcards, be sure the mailer side has a sufficient amount of white space to affix a 2 5/8” label. Leave at least the entire right half completely blank – postal regulations require no text, graphics or color. Even with daily work on updating and maintaining lists of active and prospective buyers, you can count on a certain number of returned or undeliverable pieces (these will only come back to you if you include your return address). The average response rate for a direct mail campaign is 1-3 percent. If you send out 1,000 pieces, you should expect to see 10-30 responses if you include an appropriate call to action (if you don’t have a call to action, you’ll never know if you’re getting a response). 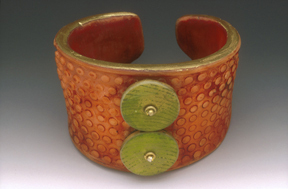 Even with a BFA in Metalwork and Jewelry Design, DeAnna Cochran spent 15 years as a quality consultant in the corporate world before returning to her first love, metalsmithing. DeAnna will take part in her first Buyers Market this August, and we're thrilled to have her join us.